The mind can be either one’s best friend or one’s worst enemy. According to “The Mind,” scroll three, “the Power of Thought,” every thought, concept, or idea has weight, shape, color, size, form, quality, and power (Dr. Malachi Z. York, pp. 9-10). Thought is the creation of mental activity. All is mental and each has a mind. We are all familiar with the five senses, which can be simplified to the sense of TOUCH. The four higher senses, as you may recall, are psychometry, clairvoyance, telethapy, and intuition. These four higher senses can be simplified to the sense of MEMORY. Memory is one of the oldest senses. It was MEMORY (Zakar, male principle) in conjunction with TOUCH (Neqabah, female principle) that the image and likeness of the Elohim had taken shape. Recall that Zakar means “to be mindful” and that Neqabah, which comes from the primitive root word Naqab means “to puncture” or to “strike at” and thus the sense of touch. The book of Genesis chapter one is a record of the application of the doctrine of mental; especially when it refers to Zakar (memory) and Neqabah (touch) in the mental activity of the Elohim. Man, collectively called Adam in the scriptures, Atum (All) in the Metu Neteru, and Atom in quantum Physics is a living mind. 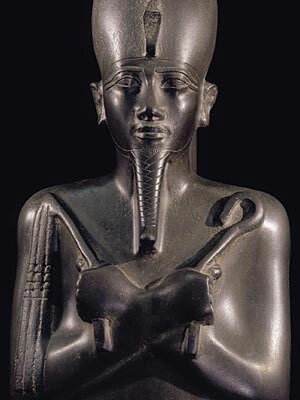 The Metu Neteru term Atum, Tem, or Tum means ALL. 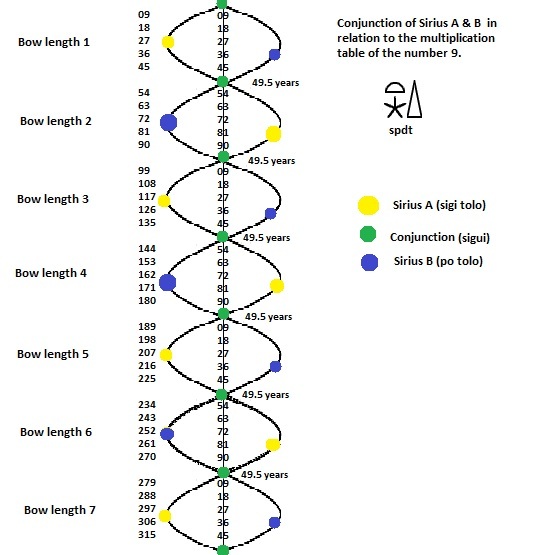 “All is mental and each has a mind” is a statement that can be referred to the Ennead (4 + 5 = 9). From a quantum point of view, the Atom is mental and each sub-atomic particle, sup-atomic particle, element, molecule, protein, et cetera has a mind that is supplied from the same mental reservoir. This offers a clue to the structural coherence and integrity of the words ATOM, ATUM, and ADAM. They are cognizant of our triune self, which are BA, KA, and KHAT respectively. Adam, for instance, carries out the doctrine of Gender as it applies to the physical plane i.e. God creates man in his image (ATOM), in the image of God creates he him (ATUM), male and female creates he them (ADAM). The manifestation of gender (male and female principles) on the physical plane is necessary to establish authority and dominion. These authoritative principles are embodied in the offices of ASET (female, Neqabah) and ASAR (male, Zakar). The murder of Asar, who lived and was known in the West, North Gate, as Prince Coh, and affectionately as Ozil (Azir, Asar) is symbolic of Man’s forgetfulness (the removal of the Barathary Gland in the hippocampus area of the brain) for the male aspect of gender is the element for mental activity. The key is the SPHINX or SPH-ANX or SBH-ANKH (sabah ankh, teaching of life), with which Queen Mo (Aset) had honored her Warrior Prince of the Great Kish-Kaan Dynasty for all to remember. Last edited by Pa Neter Ra; at 11:00 PM..